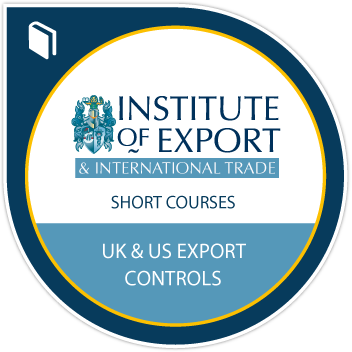 Earners of the UK & US Export Controls Training Course badge have a basic understanding of Export Controls & the implications of non-compliance. After completing this course, earners understand the application process & impact of export licences, international treaties, scope of EAR, the rating of military goods, dual use items, ITAR brokering, ECCN classification, & US Export Control Reform. They are now able to use the knowledge gained to reduce business risks & run a compliant export process.